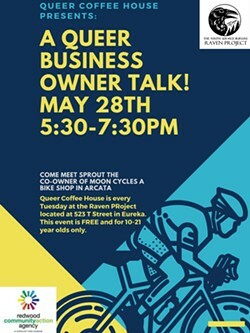 When: Tue., May 28, 5:30-7:30 p.m.
Queer Coffee House Presents: A Queer Business Owner Talk. 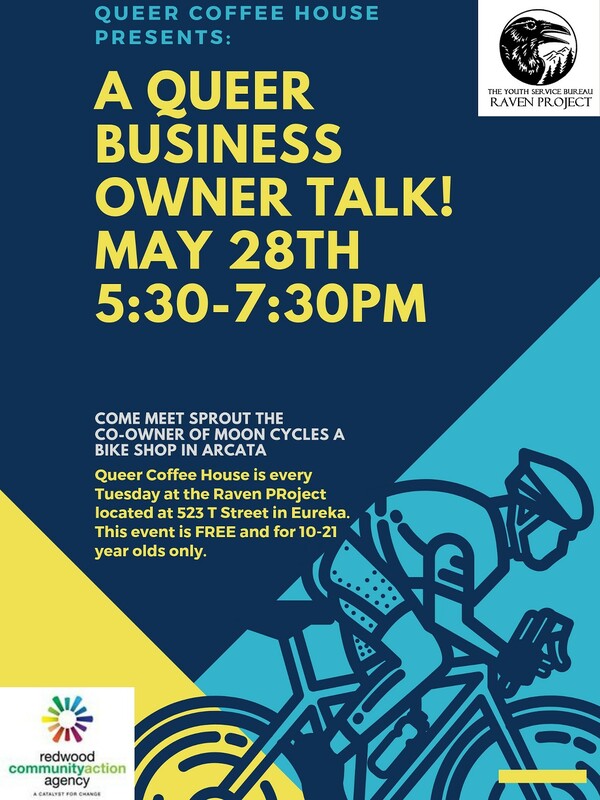 Come and meet Sprout, co-owner of the bicycle shop Moon Cycles in Arcata. Ages 10-21 only. Free.